Clinic Synopsis: Is there a difference in the kind of preparatory beat necessary between strings and the winds/percussion section? How can we keep the winds and percussion mentally engaged during lengthy “strings only” rehearsal sessions? Is there a way to encourage confidence in your young wind and percussion players only through gesture? Are there any special needs of the percussionists in the orchestra? How can conductors link the orchestral experience to the band experience, and vice-versa? 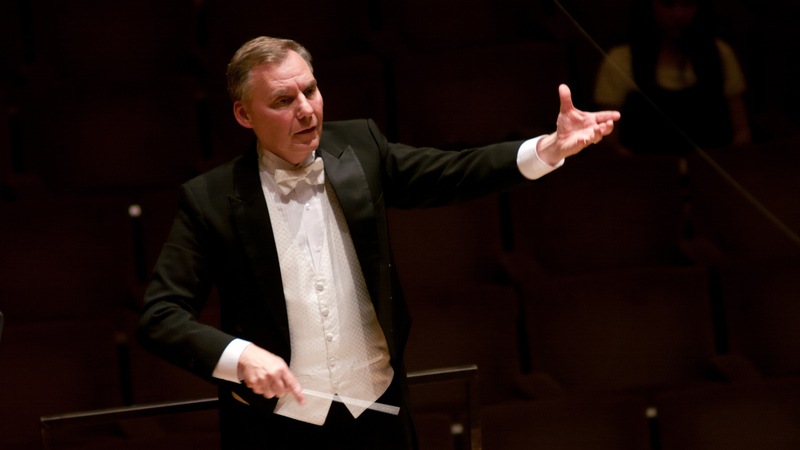 Clinician Biographical Information Donald Schleicher is professor of conducting and director of orchestral studies at the University of Illinois. He also served for nine years on the faculty of the University of Michigan. He was music director and conductor of the Quad City Symphony Orchestra, and music director and principal opera conductor for the Pine Mountain Music Festival. At the outset of his career, he spent seven years as a high school band director in Williamsville, New York. Schleicher has conducted the Guiyang (China) Symphony Orchestra, the Inchon (South Korea) Philharmonic, the Daegu (South Korea) Symphony Orchestra, and the Orquesta Filarmonica de la UNAM of Mexico City, the South Dakota Symphony, and the orchestras of Bridgeport, Tallahassee, and Lansing. He has also appeared as a guest conductor at the Great Lakes Chamber Music Festival in Detroit.